Wanted games list Cash Waiting! A glorious old football game depicting the FA cup tournament. Contains some of the finest figures and graphics I have seen within football games. Very simple snakes & ladders gameplay mechanic. 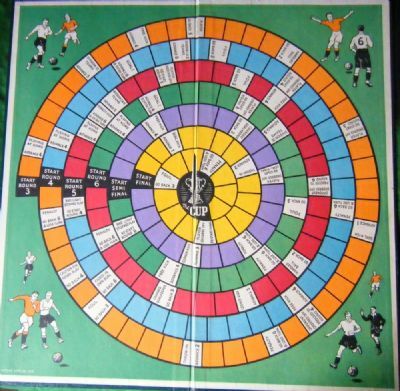 The league tables included in the rules date the game to 1952/53 season. 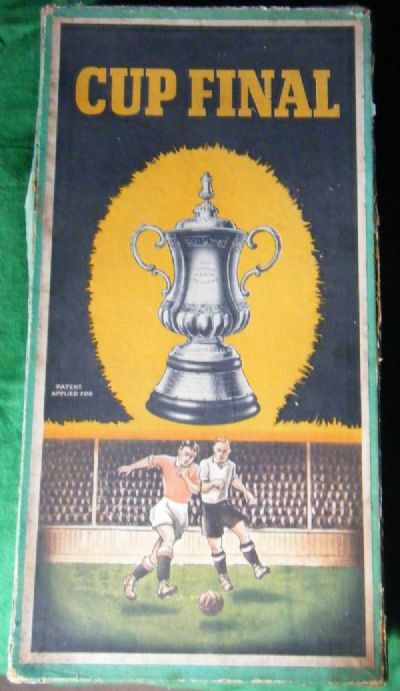 Beautiful graphics and a wonderful old football game. Lovely artwork and colourful graphic design. Simply wonderful. 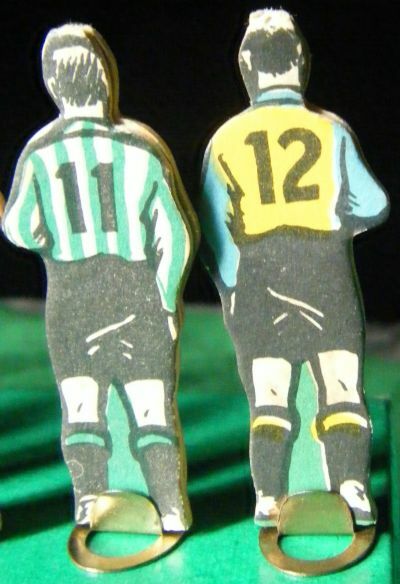 Even if both sides of the figures show their backs and numbers! Made from lovely thick card with metal bases. 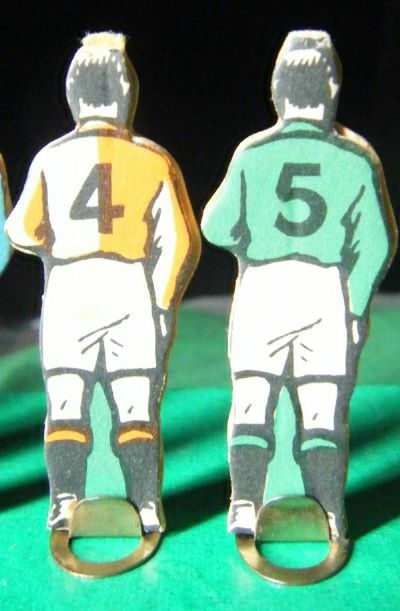 Interesting kits from the period. Close up of the gameboard. 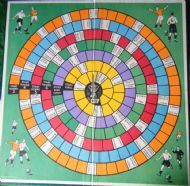 Colourful and easy to play. Chunky card figures on metal bases.